ALL Calls Answered Personally, free phone quotes! Angelo’s Carpet Cleaning in Wynnewood, Pa has been providing quality service for over 25 years. We are focused on giving our customers excellent service. We only use high quality, safe products on your carpets, area rugs, flooring and upholstery in your home which are safe for your family and pets. Did you know that regularly cleaning your wall to wall carpeting is essential for your family’s health? To all our Montgomery County PA neighbors… if you have kids and / or pets, your carpets can become dirty fast! If you regularly vacuum your carpets it can can help reduce soiling and wear, but a deep and thorough professional carpet cleaning is necessary to remove deep grime and allergens. Many rug manufacturers specify that to care for a carpet, it should be professionally steam cleaned or dry cleaned on a regular basis. Doing so, provides a longer life for your carpets and a cleaner, healthier home for you and your family. Allergies a problem? Do you know that many pollens and allergens are in your rug and a regular vacuuming may not eliminate them? Don’t suffer – a cleaning is a small investment in your family’s health. Take care of your investment! Oriental rugs are meant to be handed down from generation to generation so taking care of them to ensure their longevity is important. We have many certified technicians who are knowledgeable in the care of Oriental rugs, fine wool rugs and other specialty area rugs. Just call us to schedule a visit or get more info about how we can help take care of oriental rug cleaning, removing odors from oriental rugs or any other issues. They just do good work! 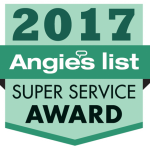 I’ve recommended Angelo’s Cleaning on numerous occasions since I started dealing with them in 1996. I have three big dogs, so they clean my rugs and furniture twice a year. Their work is very good. They are also very accommodating when it comes to my schedule. I’ve used Angelos’ for both carpet and furniture cleaning. Outstanding service and results every time! When I call at closing time to make an appointment, the phone is answered. Where do you get that other than a family owned and operated small local business. The customer orientation and client service is excellent. The staff sent to clean my carpets and furniture are professional, courteous, polite, thorough and take their time to attend to the details. I’ve used Angelo’s on more than one occasion and get consistently 5 star results. I’ll keep coming back and wouldn’t hesitate to recommend them to others. Wynnewood Pa Carpet Cleaning Special! Cleaning Carpets, Area Rugs and Flooring in Carpet Cleaning 19096 for over 26 years! 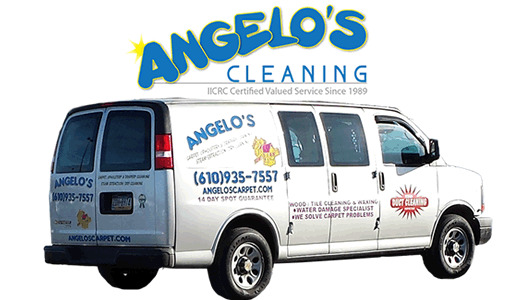 Angelo’s Service areas: Phoenixville, Limerick, Harleysville, Pottstown, Douglassville, King of Prussia, Wynnewood, Lansdale, West Chester, Coatesville, Downingtown, Wynnewood, Newtown Square, Haverford, Upper Darby, Villanova, Wynnewood and surrounding PA areas!